Mazda is selling half the number of Mazda 6 sedans it was two years ago, a sharp decline that is largely explained by consumer migration to crossovers and SUVs. Sales of midsize cars are down during the first half of 2017, most models experiencing double-digit declines, with the exception of the roomy Volkswagen Passat. Certainly, some of these car buyers are choosing the redesigned Mazda CX-9 for its greater passenger and cargo capacity. Still, the Mazda 6's stumble reflects a broader problem: people don't want cars anymore. That is unfortunate, as cars are typically more affordable, more efficient, and more fun to drive than a crossover SUV. The 2017 Mazda 6 is a great case in point, especially now that it comes with more equipment, a 50-state partial zero emission vehicle rating, and highly effective G-Vectoring Control technology that heightens an already enjoyable driving experience. Always eager to get behind the steering wheel of a Mazda 6, for this review we evaluated the Grand Touring version with optional Machine Gray metallic paint, Premium package, doorsill scuff plates, and a carpeted trunk mat. The price came to $34,570, including the $875 destination charge. Before we discuss the results of our evaluation of the 2017 Mazda 6, it's helpful to understand who buys this midsize car and what they like most and least about it. Mazda 6 buyers are more likely to be men (69% vs. 61% for the midsize car segment), younger in terms of median age (48 years old vs. 54 years old), and wealthier in terms of median household income ($97,361 vs. $86,876). The Mazda 6 is particularly popular among Gen X (those born 1965 to 1976) and Gen Y (1977-1994) buyers, with 55% of them falling into these demographic groups compared with 42% for the segment. Twice as many of the people who choose the Mazda 6 consider themselves performance buyers compared with the Midsize Car segment. More Mazda 6 buyers are likely to agree that their friends and family think of them as someone who knows a great deal about autos (68% vs. 61%), and they are more likely to strongly agree that they like a vehicle that offers responsive handling and powerful acceleration (54% vs. 43%). Styling is important to Mazda 6 buyers, too. J.D. Power finds that 85% of Mazda 6 buyers agree that they like a vehicle that stands out from the crowd, compared with 71% of midsize car buyers. Fuel economy is less important to Mazda 6 buyers, with 70% agreeing that it is their first consideration in choosing a vehicle (vs. 75%). They are less likely to pay more for a vehicle that is environmentally friendly (51% vs. 55%), and less likely to pay extra for the latest safety features (71% vs. 76%). Just 54% of Mazda 6 buyers strongly agree that reliability is their first consideration in choosing a vehicle (vs. 66%). Buyers say their favorite things about the Mazda 6 are (in descending order) the exterior styling, interior design, seats, engine/transmission, and the driving dynamics. Buyers indicate their least favorite things about the Mazda 6 are (in descending order) the visibility and safety, storage and space, fuel economy, climate control system, and the infotainment system. In the J.D. Power 2016 U.S. Automotive Performance, Execution and Layout (APEAL) Study,SM the Mazda 6 fell from its top ranking in 2015 to 7th position among 12 rank-eligible models. In the sections that follow, our expert provides his own assessment of how the 2017 Mazda 6 performs in each of the 10 categories that comprise the 2016 U.S. APEAL Study. Name a midsize family sedan that is better looking than the 2017 Mazda 6. To my eye, there isn't one. From its bold grille and dramatically arched front fenders to its appealing aluminum wheels, tapered greenhouse and tidy rear end, the Mazda 6 looks like it costs twice as much as it does, and is likely to go down in history as one of the most attractive mainstream cars ever built. Plus, Mazda resists calling it a "coupe," even though the roof clearly peaks just aft of the front seats. Equipped with the optional Premium package, which includes upscale Nappa leather with perforated inserts and contrast piping, the Mazda 6 Grand Touring is essentially a luxury car. Dark roof pillar covers and headliner? Check. High-contrast interior color scheme with the Parchment interior? Check. Lots of metallic accents throughout? Check. High-quality materials covering every surface? Mostly check. In all seriousness, the Mazda 6 Grand Touring's interior could have been yanked out of an Audi, and then improved with a gauge cluster that clearly reflects the company's "Driving Matters" advertising mantra. Front seating is comfortable, and the test car included a power front passenger's seat-height adjuster to improve that person's satisfaction. Quality Nappa leather, supportive cushioning, softly padded rests for arms and even legs, and effective bolstering all make the Mazda 6 enjoyable to drive. All that's missing is a front-seat ventilation system for hot days. The rear seat is smaller than many midsize sedans, but four adults will fit and be happy about it. The test car's Parchment interior color helped to make the cabin look and feel larger than it is. Mazda's dual-zone climate control system is stylishly designed and sensibly arranged, including two large control dials that make it easy to adjust temperature. During the testing period, seasonally mild temperatures did not tax the system's capabilities, though I did feel as though it had trouble overcoming the solar heating effect of the windshield and black dashboard top. Heated front and rear seats and a heated steering wheel help to keep Mazda 6 owners comfortable in the winter. Ventilated front seats, which are unavailable, would be greatly appreciated for hot summer days. Mazda 6 buyers say their least favorite thing about their car is the infotainment system, and this is easy to understand. Throwing convention to the wind, Mazda uses a freestanding touch-screen display that responds to your fingertips only when the car is not moving. Once underway, the driver must use steering wheel controls, or voice commands, or the controls mounted to the center console next to the gear shifter. Essentially, you have four different ways to find and access the Mazda Connect system's functions, depending on whether the car is moving or not, which can be confusing. Making matters worse, it is not as easy as it should be to make basic radio adjustments. A knob on the center console (or buttons on the steering wheel) provides access to volume and mute functions, and buttons on the steering wheel allow an owner to cycle through favorite radio stations. But if you want to spin the dial from, say, 98.7 FM to 99.5 FM, the process is more laborious than it needs to be. This car desperately needs a simple strip of controls beneath the center air vents: a volume/mute knob, a set of six buttons for favorite radio stations, and a tuning knob. 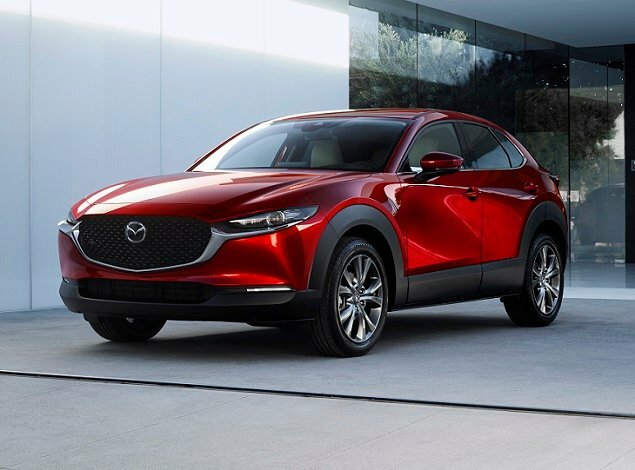 With this said, the key to maximum Mazda Connect happiness is to spend the considerable amount of time that is necessary to get it set up to your personal preferences. Once these set-'em-and-forget-'em selections are made, interaction with the system is minimized. That is, unless you plan to listen to music or talk radio or podcasts or whateve6r during your commute. Within the cabin, Mazda carves out storage space where it can, but the emphasis is on design and detailing, not creating large and commodious places in which you can store lots of things. The car's trunk is relatively small by volume, too. Measuring 14.8 cu. ft., it sizes on the smaller side of the midsize sedan scale. However, it is worth noting that if you have young children, a compact folding stroller will fit into the Mazda 6 wheels-first, a rarity that gives parents options when packing for a trip. Also, two full-size suitcases slide in flat between the wheel wells, which also cannot be said for many of this Mazda's competitors. So, while the trunk might measure smaller than the competition, it is shaped to make maximum use of that space. Thin windshield pillars and large door-mounted side mirrors help to provide maximum outward visibility from the driver's seat. A standard reversing camera supplements the view to the rear of the car. Upgrade to the Touring trim level and the Mazda 6 is equipped with a blind-spot monitoring system, rear cross-traffic alert, and a low-speed automatic emergency braking system. Adaptive headlights that help to see around dark corners are an option on this trim. 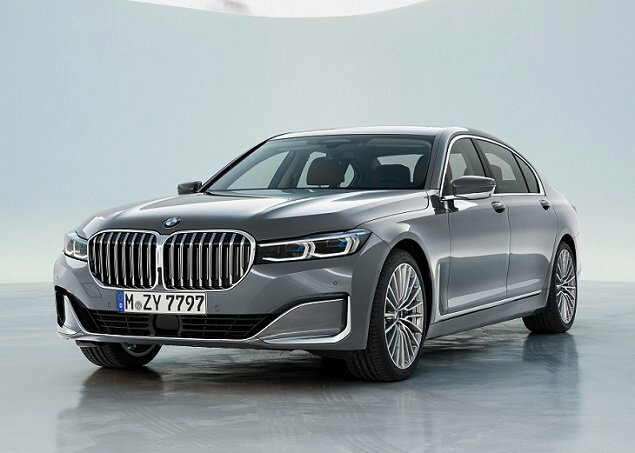 The Grand Touring version comes standard with a forward-collision warning system, full-speed-range automatic emergency braking, and a lane-departure warning system with lane-keeping assist. The adaptive cruise control system features a close-proximity warning system, distance recognition, and traffic sign recognition. In crash tests conducted by the National Highway Traffic Safety Administration (NHTSA) and the Insurance Institute for Highway Safety (IIHS), the Mazda 6 earns top marks nearly across the board. Mazda offers a single engine choice in the 2017 Mazda 6: a 2.5-liter 4-cylinder making 184 horsepower. This is competitive with the 4-cylinder engines installed in other midsize sedans, and Mazda ensures liveliness through responsive transmission gearing, a Sport driving mode, and a set of paddle shifters. In keeping with its brand focus on driving enjoyment, Mazda offers a 6-speed manual gearbox in the Mazda 6. To get it, though, you must settle for the Sport or Touring trim level. 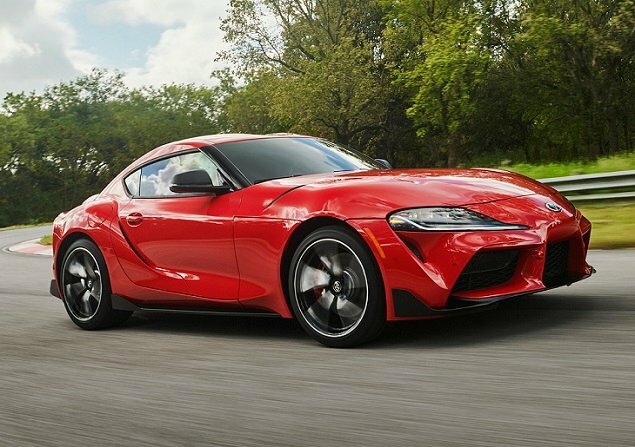 The top-shelf Grand Touring comes only with the 6-speed sport automatic transmission that is an option for less expensive versions of the car. While turbocharging would certainly give the Mazda 6 welcome additional oomph, the car is nevertheless responsive and quick, if not fast. In loaded Grand Touring trim, the car weighs just over 3,300 lbs., so this engine proves more than adequate except perhaps when driven at elevation, which saps power from normally aspirated engines. Mazda does not offer all-wheel drive for the Mazda 6, either, which could potentially limit its appeal in areas that experience significant snowfall. According to the EPA, my Mazda 6 Grand Touring test car, equipped with the Premium package, should have returned 30 mpg in combined driving. On the test loop, the car averaged 27.8 mpg, which is not promising. However, one explanation for this result is that the car is so much fun to drive that you can't help but exercise a heavy foot on the accelerator pedal. For 2017, Mazda adds G-Vectoring Control technology to every version of the Mazda 6. Simplified, this technology is designed to prepare the car and its occupants for entry into a corner, thereby improving handling and reducing the effect of directional changes on occupants. Does it work? Yes. Drive last year's Mazda 6 and this year's Mazda 6 down the same road at the same speed, and the 2017 model will put a bigger grin on your face. In addition to its beautiful design and classy interior, driving dynamism is the reason to choose a Mazda 6. The steering, brakes, and the ride and handling qualities are just about as close to perfection as it gets in a 4-door family sedan, and especially one sold at this price point. Mazda's engineers are guided by the principle of jinba ittai, which means "horse and rider as one." More than ever, the 2017 Mazda 6 reflects this philosophy. Mazda is one of the smallest car companies on Earth. Yet, from a design and engineering standpoint, it is a David among Goliaths. Aside from its overly complex approach to the Mazda Connect infotainment system, nearly everything about the 2017 Mazda 6 demonstrates thoughtful attention to detail and a laser-sharp focus on the driver and his or her comfort, pleasure, and enjoyment. Too often, midsize family sedan shoppers overlook the Mazda 6. They have no idea what they're missing. Mazda North American Operations supplied the vehicle used for this 2017 Mazda 6 review.